Kids love to imitate the world around them through dramatic play with action figures, costumes, and play food. 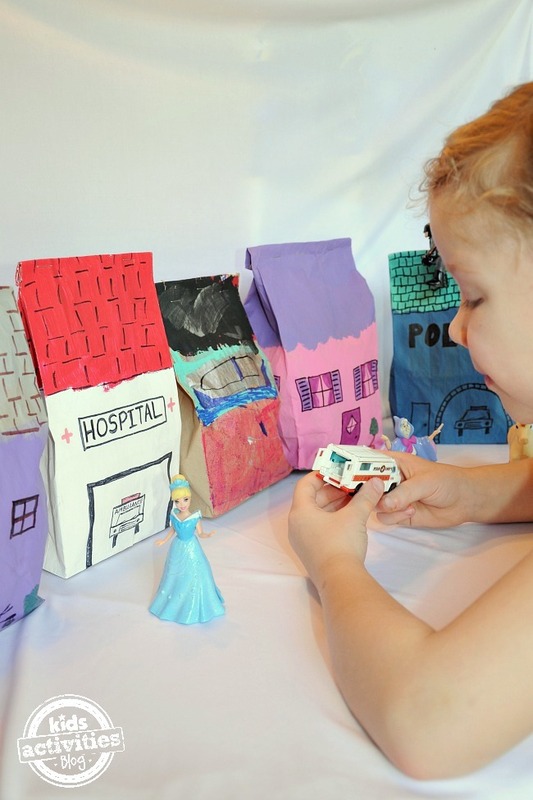 Here is a simple way to create a pretend city for your child to act out their imaginative stories. Young children learn by looking and listening. They closely watch what those around them do. In order to process all of the information they take in, children often imitate and act out similar stories through dramatic play. For example, kids like play kitchens with pretend food and little tool benches with plastic tools so they can be just like Mom and Dad. We came up with an idea for making our own little play set that looks like a pretend city. Now my daughter can act out all of her creative stories in her own little personalized town. First, you color the bags to look like buildings and houses. We started with painting the bags two different colors to give the appearance of a roof line. 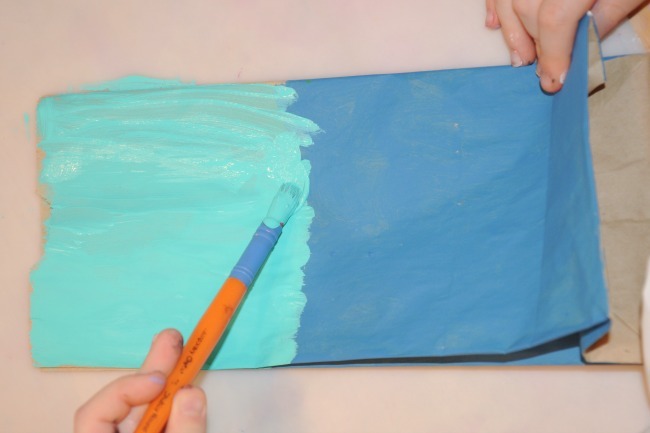 We first did this with markers but the colors seemed dull against our kraft brown paper bags. So we used paint. My daughter loved helping with this part. The paint was much more vibrant than the markers but had the terrible feature of requiring a small amount of drying time which is oh-so-challenging for a preschooler to understand. Now comes the fun part! Decorate the bags to look like buildings. Add flowers, windows, doors, shingles, whatever! Let your child come up with some ideas of what they want in their city. There could be a school, hospital, fire station, etc. 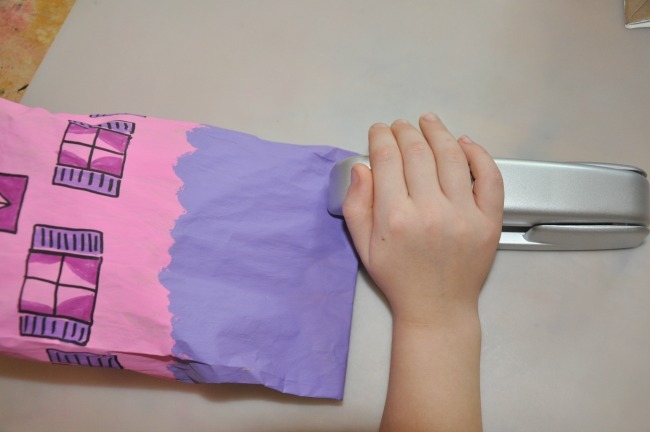 Then stuff the paper bags with a sheet of crumpled newspaper, fold the top edge over a few times and staple it closed. They make for such cute little buildings by themselves but really come to life when you line them up and add a few action figures to the scene. After I showed my daughter how to make a few of the buildings in her pretend city, I let her paint and decorate some buildings her own way. It was tempting for me to jump in and help her choose colors that went well together or help her see where the roof line would actually be. But I just sat there and watched her do her own thing. I’m so glad I did. She was much more creative than me and chose a more vibrant color palette. But most importantly, she is so proud of her creations. Even though she had helped me paint the other buildings, they just weren’t as special to her as the buildings that she designed and created herself. Now we have a sweet little city to act out her cute little stories in. What a fun village to play in! Love this. My daughter will have a lot of fun with this. Pinning it for when she is a bit older. This village looks fantastic and adapts so well to children of different ages. Thanks for sharing with Afterschool! I love this! 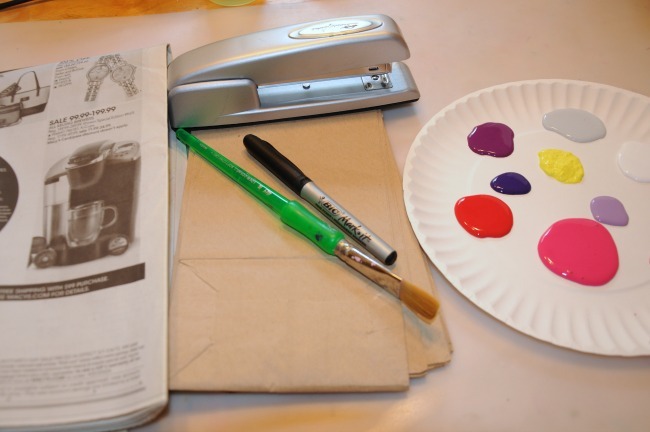 We have paints, but no paper bags… I will have to grab some from the dollar store next week! My 4 year old son would love this and the 7 and 9 year olds will really enjoy doing it along with him (which will be a help). Love this idea for making a pretend city. Creative all around. Thanks for sharing. This is adorable! We love this kind of play, we will be featuring your post this week in our Share It Saturday Features, thanks for linking up! Your village looks so beautiful. Thanks for sharing your techniques with Afterschool! Thank you for linking up this idea to ‘Share It Saturday’. I look forward to featuring another one of your ideas this weekend. 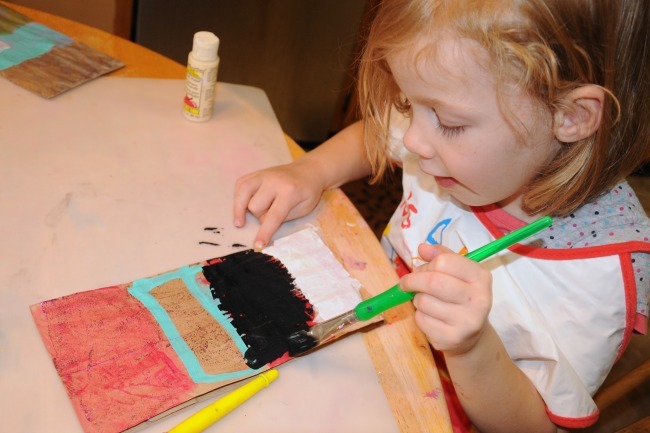 What a cute way to make a city to learn about rural and urban settings while playing too. My daughter would love this!! Thank you for sharing and for linking up this week to the Thoughtful Spot Weekly Blog Hop. In our house, we go to Dunkin’ Donuts a lot. And each time, we wind up with a like-new little brown paper bag. I had been folding them to use as litter bags in the car, but they’d also make dandy little houses, once painted! Great idea!!! What kind of paint did you use? I wanted to draft you the very little remark just to say thanks a lot yet again for your pleasant information you have documented in this article. It’s certainly seriously open-handed with you to convey unhampered just what a few individuals would have distributed as an e book to generate some bucks on their own, especially now that you might well have tried it in the event you considered necessary. The thoughts likewise served as the good way to fully grasp that some people have similar fervor the same as my very own to find out a lot more on the topic of this issue. I am certain there are several more pleasurable opportunities ahead for individuals who go through your website.